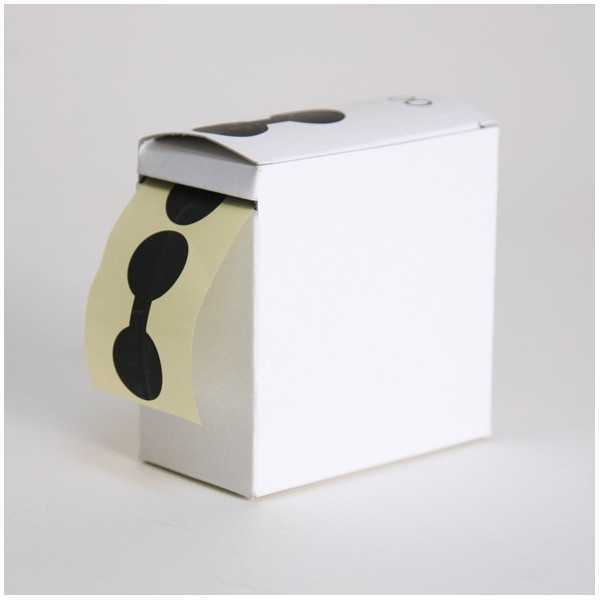 The sticker will allow you to elegantly seal your items. It is a "round glasses" shaped sticker measuring w. 2 x l. 5 cm / w. 0,8 x l. 2 inches. Stickers are delivered in a dispenser box containing 500 units.